I wasn’t actually out in the freezing cold delivering my keynote speech. We were inside a very cozy convention hotel in Great Falls, Montana. But it was 17 degrees below zero outside! 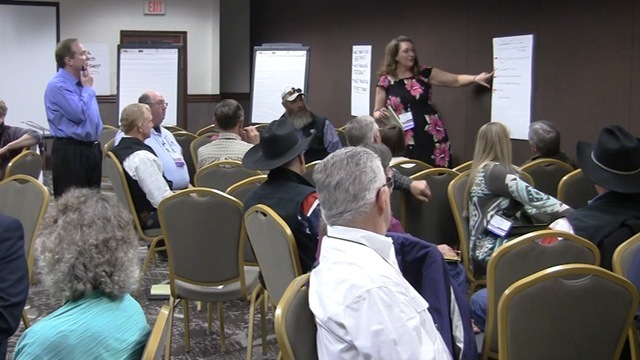 Who knew an “arctic air mass” – that’s what the television weather people called it – would swoop down over Montana just as I was scheduled to arrive, along with 500 convention attendees who were also converging on the city of Great Falls. 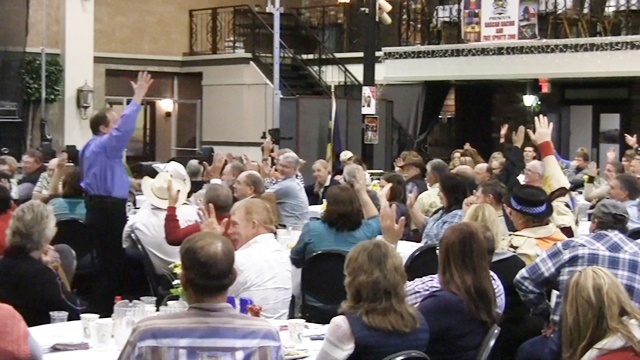 An association of fair & festival operators hired me to deliver the Opening Keynote Speech at their annual convention. And they wanted a speaker who could bring energy and laughter to their event, AND also offer real advice for improving their business success in challenging times. Well, of course! If you’re a fair operator everything hinges on that! 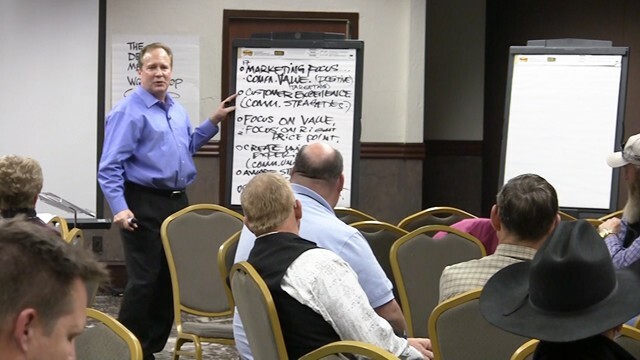 So I suggested we also put my Delta Method Business Development Workshop on their agenda. This is not any kind of emotional tension or anxiety. It is an energy dynamic similar to the tension an archer puts into a bow string when they pull back on that string to shoot an arrow. When the bowman lets go of that string, that tension energy is released and it propels the arrow through the air to the target. “Creative tension” is a dynamic form of creative energy. If you learn to define the performance gap properly, the “creative tension energy” it generates actually becomes available to use, for creating the result you’ve chosen, for “closing” your performance gap… even when your market conditions aren’t ideal or you don’t think you have the resources you need. This “creative tension energy” becomes leverage for driving innovative thinking and strategic action planning. And it becomes “action fuel” to energize your follow-through. Developing and using the energy of “creative tension” is the most important principle for substantially improving business results because it drives innovation and insures implementation. This is the next evolutionary step in understanding how to create the results we want, and I love sharing this information from the speaker’s platform. But understanding and developing “creative tension” is only half of the Delta Method process. You have to channel the “creative tension energy” you’ve generated, into innovative detailed actions plans. That’s why I developed the Delta Method Business Development Workshop. 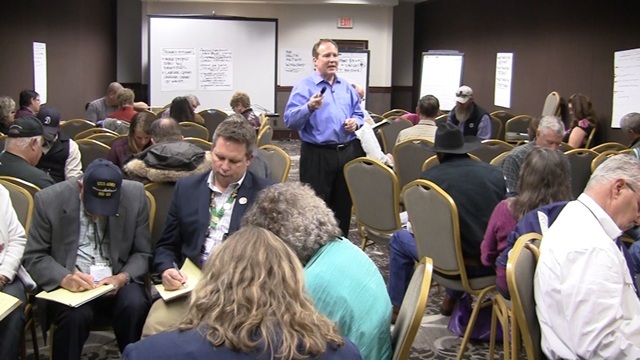 In 90-minutes I take work teams and attendee groups through a “layered action mapping” process that creates very effective, detailed action plans. 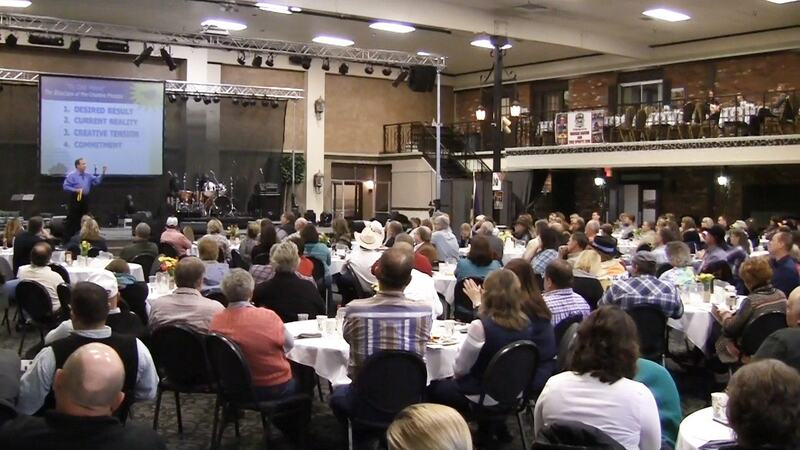 In Montana, I delivered my keynote speech to an audience of 500 fair operators and vendors. And we laughed a lot. I was talking very directly about their challenge of creating desired business results in what are difficult times for them. The anthropology of humor is fascinating. The human “sense of humor” actually developed to help human beings deal with painful things. Humor is a great gift when facing challenges. The best way to approach the challenge of business success is to evolve your fundamental process for gaining leverage to create results. My keynote speech was in the morning, and they had several workshops scheduled concurrently that afternoon, to give their attendees a wide-ranging choice. 41 fair operators signed up for my 90-minute workshop. “Get substantially more people through the turnstiles at their next Fair.” In the Delta Method we call our primary goal, our LEVEL 1 Desired Outcome. I then took them through an “interactive idea generation process” that accesses the creative wisdom & thinking of the entire group, to come up with the most important ideas for achieving their Level 1 Desired Outcome. In 20 minutes they generated 276 strategic ideas for getting more people through the turnstiles. If that seems like a lot of ideas in a short period of time, that’s because it is! All 276 of those ideas are valid, but to create an action plan for achieving their primary goal, it’s important to prioritize all those ideas, to determine which of those ideas are absolutely the best. Which of those ideas will most effectively help them get more people to come to their next Fair?! SO… we quickly prioritized those ideas in a way that involved everyone… AND… we all came to agreement on which of those 276 ideas were the TOP 6 IDEAS. We call those prioritized ideas LEVEL 2 Strategic Objectives. But we still needed more detail. We weren’t yet at action-step level. SO… I helped the group choose which of the Top 6 strategic objectives they wanted to work on first. AND… I took them through the idea generation process again. > What do we need to do to achieve that strategic objective? In less than 30 minutes they came up with 436 action ideas, and they quickly prioritized all those ideas to determine the Top 7 most valuable ideas of the bunch. We call these ideas LEVEL 3 Action Ideas. The last step in the process is to create an Action-step Plan for each of the 7 most valuable action ideas. Each of these specific action steps are assigned to a team member for accountability, a due date is selected, and the action step is entered onto that person’s calendar for completion. This process is followed-through for each of the six Level 2 Strategic Objectives, and all of the prioritized Level 3 Action Ideas. Each completed Action Step moves the team closer to completing one of the prioritized Action Ideas. As each Action Idea is completed it moves the team closer to completing one of the Strategic Objectives. In completing all six of the Strategic Objectives, the team will achieve their Level 1 Primary Goal. They will definitely attract substantially more people through the turnstiles as fairgoers! The structure of the process organically generates “creative tension” at ever level of the process, which drives the creative thinking and idea generation. And it will also fuel everyone’s action steps. Very importantly there is absolute alignment between the action steps and the primary Level 1 Outcome. This kind of action planning & implementation moves teams very directly – and often very quickly – from where they are to where they want to go. They utilize their current resources more effectively. They notice resources that are available that they hadn’t noticed before. And they develop new resources as they are needed, to close their “performance gap” and create the result they’ve chosen. My team organized ALL of the ideas generated, onto spreadsheets which we emailed to the participants as follow-up material. And I sent them a Leader’s Guide and Follow-up Video to insure their ability to conduct this “Delta Method idea generation & action mapping process” with their teams. When I returned home to Las Vegas, the temperature was 92 degrees. So I hung up my winter jacket and overcoat, and put on an Hawaiian shirt. p.s. — If you’ve got a meeting planned, I think you might also like to read about the award-winning entertainment I add into my content-rich keynote speeches, to spice things up!